Yesterday I posted about Pre-electronic wargame figure ordering – a piece of history or rather Update 1 – on pre-electronic wargame figure ordering – a piece of history. I was expecting the delivery Navwar to arrive around 8 April or so. I checked the letterbox tonight when I got home and found a parcel in there from Navwar. Now I’m impressed. Posted the letter on 18 March 2013, Easter was in the middle of it all but the parcel arrived back here in Singapore today. That’s a turn around of 17 days from posting order to receipt of goods – I guess letters are not that slow after all – I’ve had slower order fulfilment from on-line ordering at other firms. 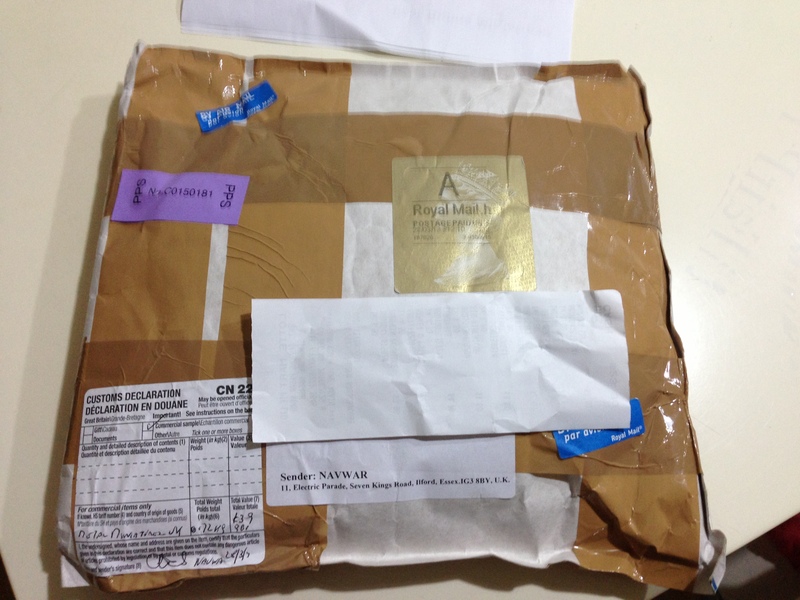 Well done Navwar, Singapore Post and the Royal Mail.